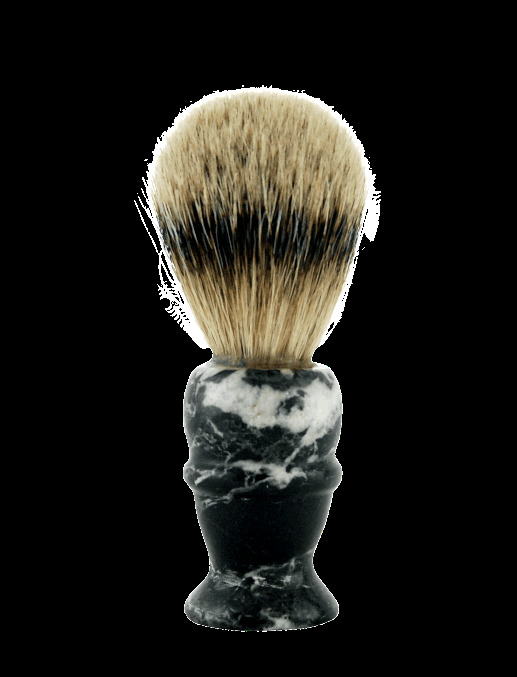 Pure Badger hair shave brush with a black marble handle. Marble is a non-foliated metamorphic rock composed of recrystallized carbonate minerals, most commonly calcite or dolomite.The resulting marble rock is typically composed of an interlocking mosaic of carbonate crystals, therefore no two brush handles are exactly alike. Brush is 4" high with a 21mm knot size.